There are a number of simple security measures ways you can reduce the chances of being burgled. 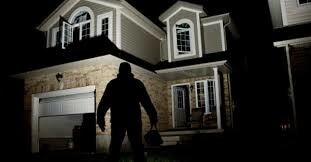 Burglars go for easy targets, so make your house a bit more difficult for them. • Everyone keeps their most valuable possessions, jewellery, expensive watches etc. in their bedroom. That’s why most burglars head straight for the master bedroom and go through the wardrobe and drawers. Hide your sentimental items that cannot be replaced. The loft, cupboard under the stairs, kitchen cabinets, the teapot – be imaginative, where wouldn’t a burglar think to look? Do not leave tempting gift wrapped presents on show. Do not leave presents in vehicles. If possible keep them indoors an out of sight. Do not leave empty boxes which could advertise Christmas purchases in plain site.